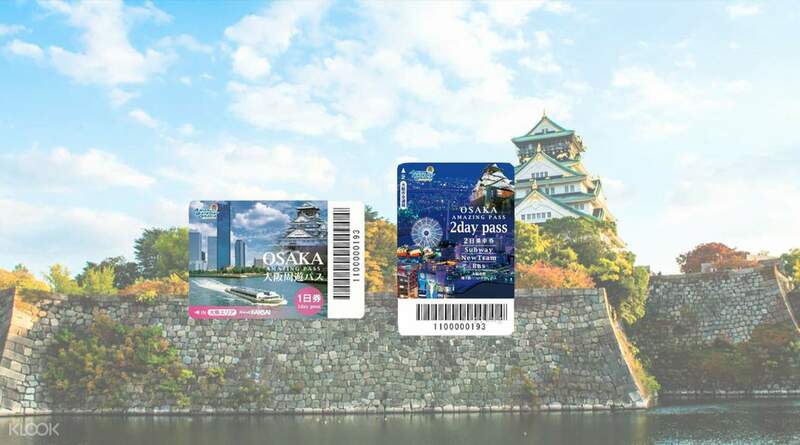 Book an Osaka Amazing Pass and USJ 1 Day Ticket in only one combo package via Klook! All kinds of dishes from Osaka gourmet cuisine are waiting near big stations to be devoured by you! Exchange the ticket at H.I.S counter in Kansai Airport. Just show QR code in the app, very convenient. Are you going to be in Osaka for a day or two and want to see all the best of the sights, but also make great savings? If so, then the Osaka Amazing Pass for 1 day or 2 days is for you! 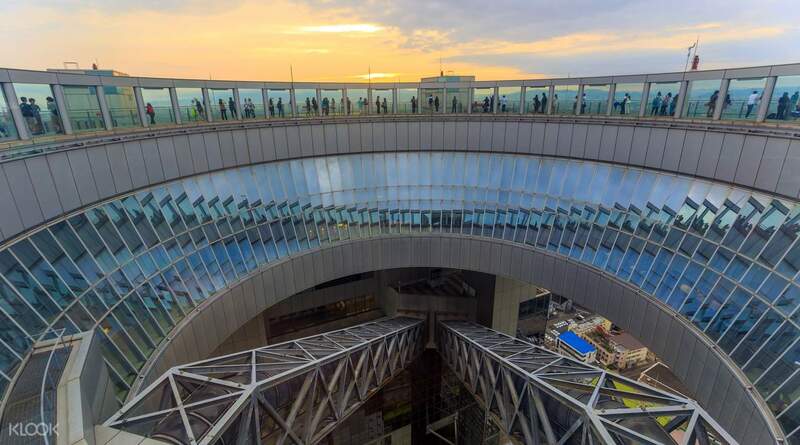 The Osaka Amazing pass give unlimited use of the Osaka subway, tramway, and bus network plus entry to dozens of Osaka's top tourist attractions for a duration of either 1 or 2 days. Choose from some of the city's most iconic landmarks such as the Osaka Castle, Osaka Zoo, or the Nagai Botanical Gardens. Alternatively take a trip on the famous Tombori River with a classic river cruise or a Tombori River jazz boat tour. The pass also comes with a guidebook and coupons that provide special offers and discounts at a number of shops and restaurants in Osaka. The perfect all-inclusive pass for those looking to make the most their Osaka experience! 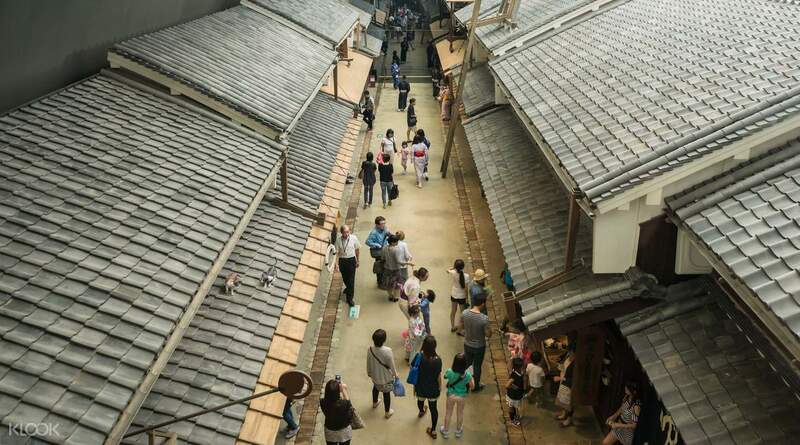 And experience traditional life at the Osaka Museum of Housing and Living, all included in your pass! 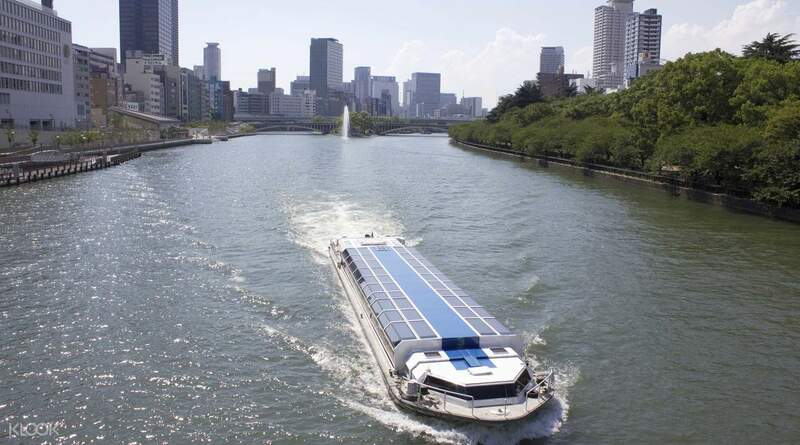 THIS IS ANOTHER MUST HAVE WHEN YOU ARE TRAVELING AROUND OSAKA! YOU GET TO VISIT PLACES AND RIDE TRAINS AROUND OSAKA FOR FREE! INSTEAD OF PAYING HIGHLY PRICED ENTRANCE! AND SAVE MONEY ON RIDING THE TRAIN! THIS IS ANOTHER MUST HAVE WHEN YOU ARE TRAVELING AROUND OSAKA! YOU GET TO VISIT PLACES AND RIDE TRAINS AROUND OSAKA FOR FREE! INSTEAD OF PAYING HIGHLY PRICED ENTRANCE! AND SAVE MONEY ON RIDING THE TRAIN! This pass is amazing indeed! Taking the subway and buses in Osaka has been hassle free. Also includes admission to specific tourist spots, so you really get more than what you pay for. Highly recommended! This pass is amazing indeed! Taking the subway and buses in Osaka has been hassle free. Also includes admission to specific tourist spots, so you really get more than what you pay for. Highly recommended! I love this Pass! 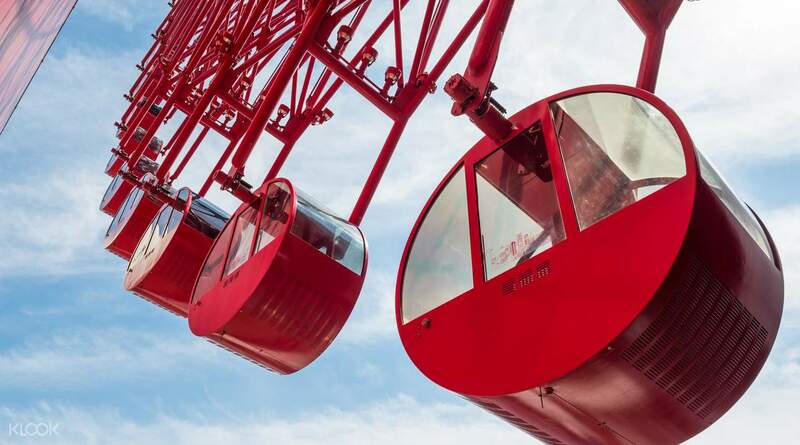 Unlimited rides and free entry to some of the popular sight-seeing spots! Easy to redeem the tickets! Just show the voucher at HIS counter in Kansai airport. Better start early exploring Osaka to maximize use of this pass. Thanks Klook! I love this Pass! Unlimited rides and free entry to some of the popular sight-seeing spots! Easy to redeem the tickets! Just show the voucher at HIS counter in Kansai airport. Better start early exploring Osaka to maximize use of this pass. Thanks Klook! we saved a lot of money by using the osaka amazing pass. a lot of freebies available but check the time before you go as others have early cut off time especially the cruise. redeem your pass at the airport to plan your travel as early as possible. we saved a lot of money by using the osaka amazing pass. a lot of freebies available but check the time before you go as others have early cut off time especially the cruise. redeem your pass at the airport to plan your travel as early as possible. Very easy and convenient! Just purchaser voucher from Klook and exchange for OAP ticket at H.I.S counter at KIX, or at OCAT JR Namba (just follow Namba walk to the end). The pass itself is very useful and convenient, no need to buy subway ticket and any entrance ticket. Love it! Very easy and convenient! Just purchaser voucher from Klook and exchange for OAP ticket at H.I.S counter at KIX, or at OCAT JR Namba (just follow Namba walk to the end). The pass itself is very useful and convenient, no need to buy subway ticket and any entrance ticket. Love it! Bought the two day Osaka amazing pass. Take note that you can only use on the osaka metro and not on the JR line. You can select from 30+ touristy places to visit. Collect the pass on HIS counter. The ticket is activated on the day upon first use on the transit. Preferably start using in the morning to maximize it. Bought the two day Osaka amazing pass. Take note that you can only use on the osaka metro and not on the JR line. You can select from 30+ touristy places to visit. Collect the pass on HIS counter. The ticket is activated on the day upon first use on the transit. Preferably start using in the morning to maximize it. Got the 2-Day Osaka Amazing Pass and it was totally worth it. We also purchased the Kansai Airport package which Klook coupled together. If you're staying more than 2 days, the OA Pass is a must. Just feed into the gates at the metro subways and go! Got the 2-Day Osaka Amazing Pass and it was totally worth it. We also purchased the Kansai Airport package which Klook coupled together. If you're staying more than 2 days, the OA Pass is a must. Just feed into the gates at the metro subways and go! Very easy to pick up the card at the airport. Was able to tour around Osaka for a day and can be used in all of the subways and trains conveniently. Will surely recommend to everyone who will tour Osaka. Very easy to pick up the card at the airport. Was able to tour around Osaka for a day and can be used in all of the subways and trains conveniently. Will surely recommend to everyone who will tour Osaka. Q: Is there a pass for children? A: No. There is no child pass available. Children must purchase the same pass as adults. However, children under the age of 3 can enter most of the attractions free of charge. This policy may be subject to change. Please check the official Osaka Amazing Pass website for the most recent policies. Q: Can I upgrade from a 1-day pass to a 2-day pass on Klook? In person at the ticket counter? A: No. Passes cannot be changed or upgraded once the booking has been confirmed. Q: Do I have to use the 2 day pass on consecutive days? A: Yes. The 2 day pass must be used on consecutive days. Furthermore, the 2 days are counted in calendar days, not a 48 hour period. For attractions and transport, the validity period is from the opening time of the first day to the last entry time on the following day. Q: Do I have to use the pass for public transport and attraction entry on the same day(s)? A: Yes, the pass must be used for both transport and attraction on the same day(s). The transport and attraction entry benefits of the pass have the same exact validity periods. Q: What are the exact validity periods of the 1-day and 2-day passes? A: The validity periods for the passes are counted in CALENDAR days, not 24 hour periods. The use time of the 2-day-pass for entry to sightseeing spots is from opening until closing time on the first day and the next day of use. For use on public transport is from the first service on the day of first use to the last service on the next day. (It cannot be used after 48 hours from the first use.) Please refer to the official policy of Osaka Amazing Pass. Q: Can I use this pass to travel via subway between Kansai Airport and Namba Station? A: Yes, this pass is valid on the subway connecting Kansai Airport and Namba Station.